INTERNATIONAL - The latest version of Greenpeace's Cool IT Leaderboard (1) reveals how some global IT companies are leading the industry by proving the potential of IT solutions to address climate change and reshape energy use, while others seem unable to decide if IT climate solutions are a significant business opportunity or a simple marketing strategy. Cisco vaults to the top of the Leaderboard, doubling its score from the previous version by demonstrating the effectiveness of its greenhouse emissions-saving solutions such as smart grid technology and office energy management. Ericsson debuts at second place, on the strength of its real world case studies, which measure how its solutions are driving down emissions. 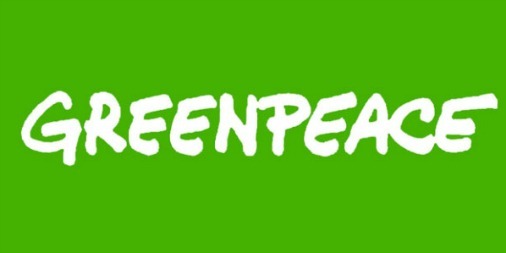 "To play a significant role in helping make sure global greenhouse gas emissions peak by 2015, IT companies need to deliver upon the promise that their technology can provide substantial climate savings today," said Greenpeace Campaigner Casey Harrell. "Leaders such as Cisco are actively investing in climate solutions, while others are merely signaling commitments, hoping that lofty words are as good as action." --Cisco: aggressively moving to drive smart grid technology (3) and has demonstrated the significant impact of its solutions offerings in reducing energy consumption through office design and energy management. --Google: its PowerMeter tool provides real time energy consumption information allowing consumers to take action and reduce energy use. It is also demonstrating strong policy advocacy to require utilities to make smart meter data available in real time. --Ericsson and Fujitsu: both have developed a strong methodology for measuring net impact of their solutions, which is essential for evaluating the impact of IT on a broad scale. Fujitsu is also the first company to set a credible goal for the overall amount of carbon savings provided to its customers. Perhaps no company demonstrates IT's potential to make a difference while also representing the industry's significant contribution to climate change (4) more than Google. Ranked sixth, Google remains the top scoring company on political advocacy, having put forward a clear vision for moving to a clean energy economy. Google CEO Eric Schmidt has been vocal on the failure of the current political system to get the policies right to drive transformative investment in clean energy technologies. However, Google has no emission reduction targets, nor does it release or disclose its own emissions. This lack of transparency puts Google significantly out of step with most other technology companies, and weakens its ability to be an effective advocate. "Google and other IT companies can help shape policies to rapidly deploy IT solutions to help slow and reverse climate change, while increasing their revenue and growing in a more responsible way," said Harrell. "The company bottom line coupled with the environmental bottom line, the need to curb a growing greenhouse gas emissions, should send the IT industry to the front lines in the battle for a clean energy economy. The sector needs to step up its policy advocacy now."